Four U.S. Attorneys announced Friday the feds are cracking down on medical marijuana in California — a move that has made national news. The U.S. Attorneys Office for the Central District of California announced the enforcement actions are being directed at commercial marijuana operations and include criminal drug trafficking enforcement, property forfeiture lawsuits and warning letters to landlords. Our Orange County dispensary defense lawyers encourage you to get qualified legal help and prepare to stand and fight. Bullying and scare tactics from the feds are just that. As we reported recently on our Marijuana Lawyer Blog, medical marijuana was legal in the United States until a power play by the feds in the 1930s. California was the first state to reassert its rights with the passage of the Compassionate Use Act of 1996. Since then, 15 other states have legalized marijuana for medical purposes. Mmm. Yeah. That’s because medical marijuana is LEGAL in California guys. The feds are conducting the crackdown under the authority of the federal Controlled Substances Act, which prohibits the sale and distribution of marijuana. -A criminal indictment that charges six people with marijuana trafficking. The feds allege they generated $15 million in profits in 8 months. -The filing of civil forfeiture lawsuits against three properties and a related seizure of more than $135,000 from the bank account of one property owner. -Warning letters sent to the operators and landlords of 38 marijuana stores. It’s time to stand and fight. Medical marijuana dispensaries need to understand that operating without a law firm on retainer is a poor choice. There are many moves an experienced dispensary defense lawyer can make on your behalf. Protecting bank accounts and non-profit status is just one issue that should be addressed. 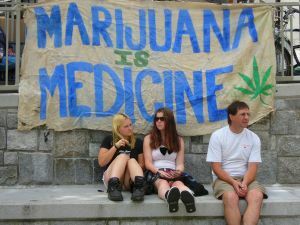 Medical marijuana collectives have rights under state law. The government can charge you with whatever it wants. All that matters is what you are convicted of in a court of law. Having experienced legal help on the front end can often save you time and money in the long run and may even prevent charges or government harassment.